My students receive individualized lessons based on their interest and ability. They learn to read music notation, play core piano literature, learn theory, music history, and composition. All students participate in a yearly recital and have the option of entering the NJMTA Piano Festival to be adjudicated each year. I have a two-fold goal with each student: that she or he become an excellent musician, and that we have fun together as that happens. I've been playing the piano since I was seven years old. After going to college and studying music education, I started teaching piano and have fallen in love with this job. I love music and I love sharing it with others. I've been teaching piano for over 30 years. My students receive individualized lessons based on their interest and ability. They learn to read music notation, play core piano literature, learn proper playing technique, theory, music history, and composition. Each lesson from the very beginning includes some technique, whether that is pentascales (5-note scales), full scales and chords, etudes, etc. Then we work on repertoire, learning new songs which challenge the student to expand his/her musicianship skills, with beginners using a lesson book while intermediate and advanced students become familiar with the traditional body of piano literature. For beginners, theory is taught using accompanying theory books. For more intermediate/advanced students, theory is incorporated into the lesson using the music the student is studying. Composing can be added into the lesson when the student is ready. The student is guided through the process of writing a song and then enters it into the computer and prints it out for their very own copy. When enough students have completed original compositions, I host a composition recital where students can play their creations. I have over 30 years experience teaching private lessons to students ranging in age from 6 years to older adults. I’ve taught beginners, intermediates and advanced students, playing classical and popular styles. My students have performed in piano recitals, school talent shows, talent contests, adjudications, and been accepted into college to study music. In the lesson, we cover technique, repertoire, composition and theory. The student learns individual songs while learning concepts which make her/him a better musician. Each student also learns how to compose music. In addition to lessons, students have access to a computer with music theory games on it, and a music notation program so they can print out songs they have composed. There is also a music Listening Library with over 300 CD’s and DVD’s the students may use. I taught Beginning and Continued Group Piano/Keyboard classes. Classes consisted of 6-7 students, 2nd-6th grades. When I first came there was just one piano to use, but by the time I left, each student had their own keyboard to use in class. Fundamentals of learning notation and technique were covered in each 10-week course. The course became so popular, they had to add on extra classes to accommodate all the students who signed up. This is a certification given to teachers who meet certain high standards in the profession. MTNA urges all teachers to get certified as a way to regulate the profession. "Ballet", from Petite Suite, by Claude Debussy. Performed with my duet partner Charlene Step at her studio recital. Liu Yang River, a beautiful Chinese folk song. Skylar and Corbin helped me celebrate Red Nose Day in 2018. Some of the students at the spring recital 2018. They did a great job! Awesome lesson. Jennifer is very knowledgable about her craft and is very patient! So glad we found her! I'm an adult piano student who's never taken any piano lessons before. I committed myself to 5 lessons with Jennifer to see if we would be the right fit for each other. After about 10 lessons, I can tell you that she is an excellent piano instructor! She is very detail oriented and knows when to challenge you and when to provide more guidance. When you don't understand something, she's very good at explaining it at multiple angles. She jots down notes on problem areas, which helps when you practice. During the lesson, she ensures that you have good foundations, such as hand positioning and other motor skills. She prioritizes a portion of the lesson to important fundamentals, such as scales, chords, and music theory. All the while, she always keeps things interesting through a variety of songs. Overall, she's great at bringing out my strengths and addressing my weaknesses. I feel as if she's fully invested in me to be the best that I can be, so I'm confident that she would do the same for you or your child. Definitely would recommend! As a "(much) older student", and former high school teacher, I am very impressed with Jennifer. Every lesson begins with the basics- scales and chords, then on to technique and theory, using pieces that I've selected myself to build my repertoire. Jennifer has a very calming and matter-of-fact manner, which I love, and her knowledge of musical history and way of casually imparting it is a pleasure. I see myself taking lessons with her for a long time to come, and would recommend her HIGHLY to students of all ages and ability levels. My son started taking lessons with Ms. H. at the age of 8. He had no prior piano experience, but showed a lot of interest in wanting to learn about it. He is doing absolutely amazing and has been a part of a piano festival and recitals. Ms. H. has been wonderful. She is patient, fun, and challenges him when she knows he can do better. She makes the whole experience enjoyable. He's very comfortable with her and enjoys his time at the lessons. He cannot wait to play what he just learned as soon as we return home from the lessons. He has learned so much in a short period of time, and he continues to flourish. I highly recommend Ms. H. for piano lessons at any age. She is a fabulous teacher! 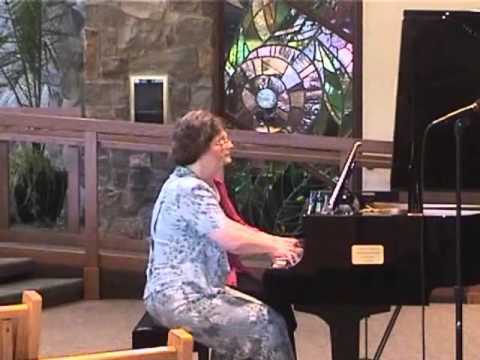 Jennifer is a wonderful piano teacher in every way. As an instructor for our daughter, who started as a newbie at age 7, she was patient and fun, encouraging but firm. It is a fine line to walk, keeping young and new students engaged and enjoying the piano while making sure they are focused on learning the proper notes, scales, chords, rythyms, and songs. Jennifer navigates this path perfectly. Our daughter, now 9, is still loving piano and improving every week. 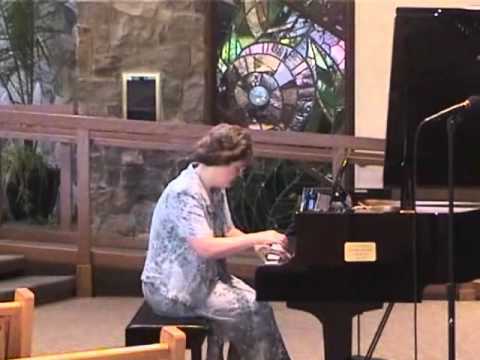 As a (former) piano player it has been fun for me to be included in recitals, and watching her perform in local competitions as I used to do. After witnessing her lessons and watching her at recitals, her younger brother has already expressed a desire to start learning with Jennifer. Overall, Jennifer doesn't just teach piano, she makes music fun and meaningful and, therefore, deserves a standing ovation for her great work. Both my husband & I are musicians & teachers yet we send both of our children to Jennifer Herring for piano lessons. Jennifer has been teaching my daughter for 5 years now & my son for 2. Jennifer is an outstanding teacher! She is patient with all levels, yet encouraging when her students need encouragement. My children always want to return & learn something new & exciting. My son wanted nothing to do with playing the piano in the beginning, however after the first lesson, he hugged & thanked Jennifer for teaching him to play the piano. He automatically sits down at the piano to practice & compose on his own. Jennifer has both my husband's & my highest recommendation!! !